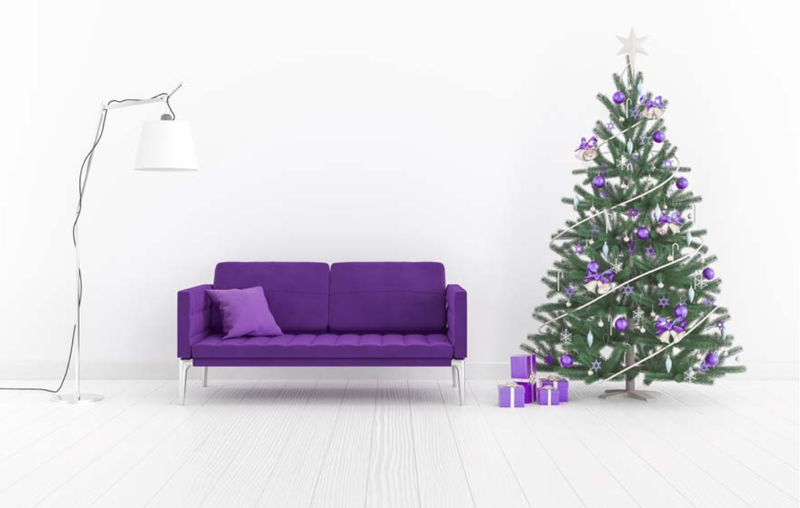 If you follow design trends at all you’ll have heard about the “color of the year” chosen by Pantone, Ultra Violet. 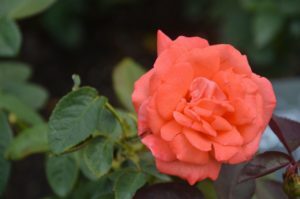 There’s no doubt, this is a beautiful, bold color. 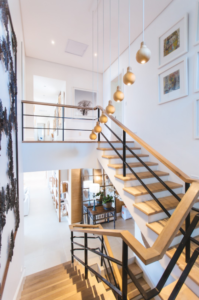 And while we can drool over the glossy images that designers and furniture makers use to entice us, the truth is that not everyone has either the desire nor the cash to totally remodel everything in their home. Fortunately, it’s possible to include this luscious color in your home decor without breaking the bank…or starting a fight with your significant other! 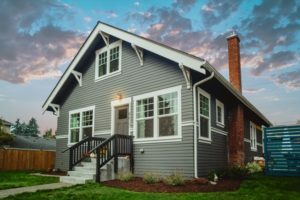 To use the ultra violet pantone has chosen as 2018’s color of the year without letting it overwhelm the rest of your home’s colors, use it as a feature. 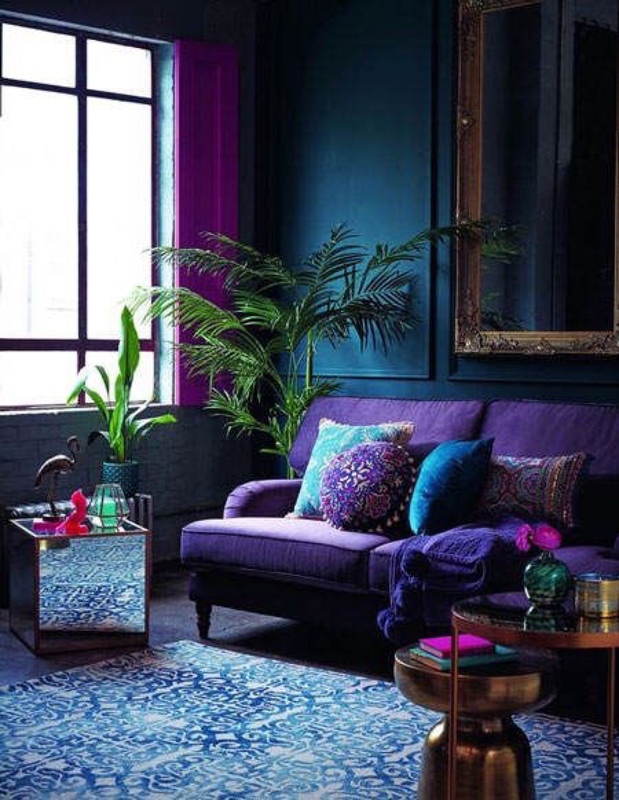 Choose a single wall that you’d like to highlight and paint it this beautiful ultraviolet color. Whether that wall is in your living room, your bathroom or a bedroom, when paired with crown moulding the impact is one of sophistication. Since you’re only painting a single wall, you can add this regal color to your home without going over budget. 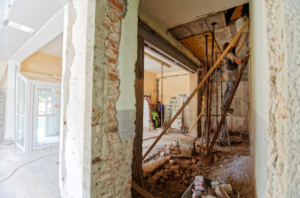 Those areas of your home that aren’t the main living areas can often fade into the background. This color can bring them to life. For example, if you have a hallway or entryway, paint the ceiling or one or more walls. This color never fails to impress, lending elegance to an area of our homes that’s often forgotten. When you add a runner with lavender and/or turquoise features it would create a stunning effect. If you’ve created a gallery wall, a splash of ultraviolet on the frames will really draw attention to your photos. 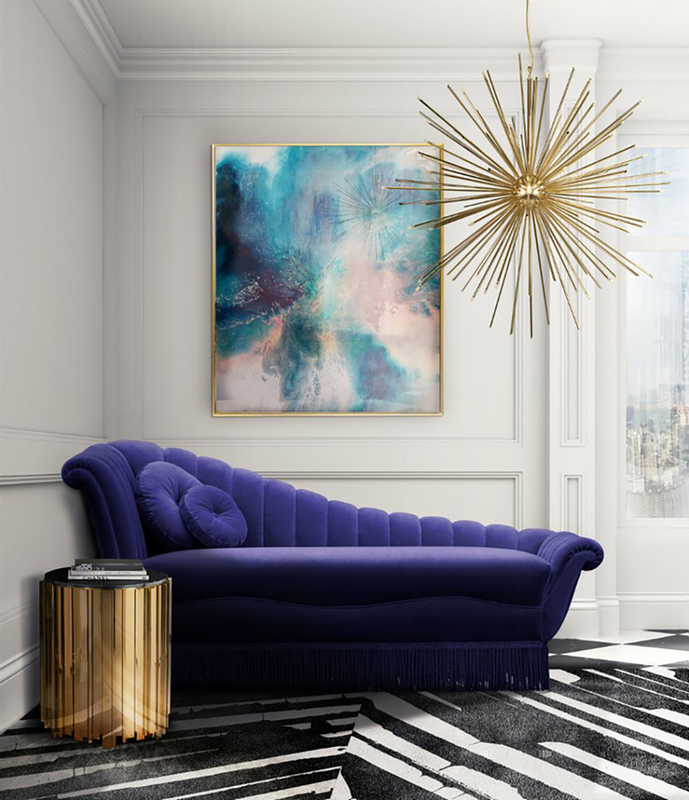 A mirror frame painted entirely in ultraviolet or with a mixture of ultraviolet with complementary – or contrasting – colors is an inexpensive way to add interesting details to a room. For a completely non-committal way to use this year’s color pick by Pantone, toss a brightly colored afghan on the back of your couch and some fluffy pillows in your favorite reading chair for eye-catching additions to any room. 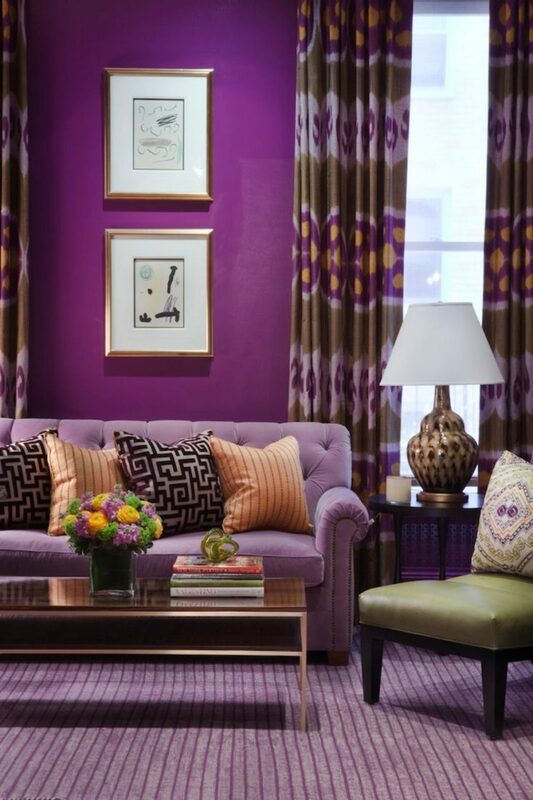 An inexpensive way to incorporate ultraviolet into your home’s decor is to add it to your furniture. Paint a chair, table or other furniture piece either completely, or add little details in ultraviolet such as stenciled flowers or other designs. 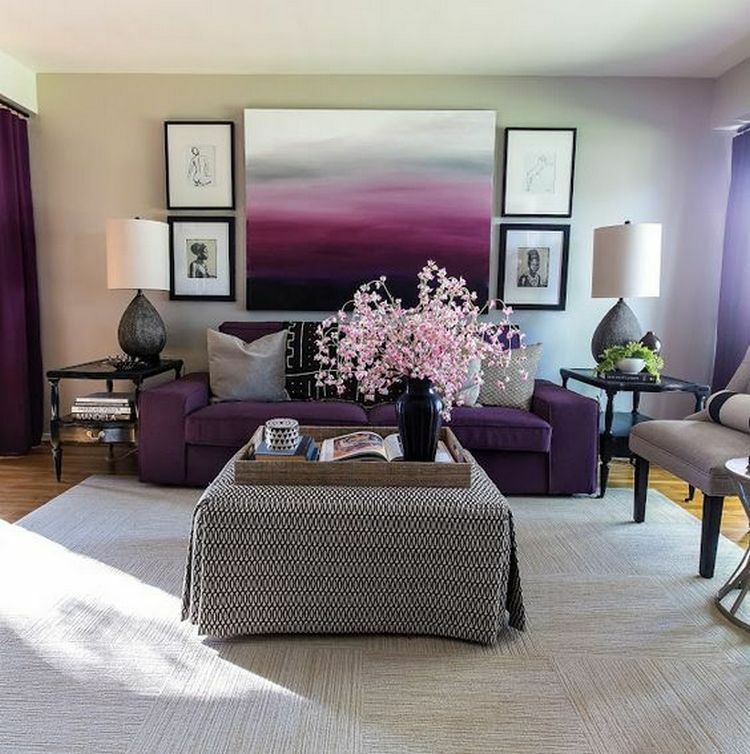 If the piece has upholstery, add a slipcover or recover the piece to incorporate ultraviolet into your home’s color scheme. Add black to really punch up the dramatic effect of ultraviolet. Think dark wood or black furniture. Accessories such as a flower vase, table centerpiece or miniature display add bright splashes of color without overwhelming your existing decor. Ready to hang window treatments can be expensive, but if you know your way around a sewing machine, you can whip up some beautiful ultraviolet curtains in no time. And the plus about this year’s color is that it can help keep your room(s) cooler too. Color wheels are useful tools that designers use to put together shades that work well together. 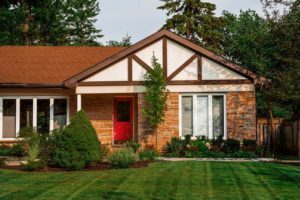 They choose certain combinations of colors to create a desired effect. These are colors that are opposite each other on the color wheel. (e.g. red and green) So in the case of ultraviolet, you could add a yellow-green shade if you want to make the color pop. It can be tricky to use complementary colors, so start small to see how you like the results. These are colors that lie next to each other on the color wheel and are often found in nature. (e.g. different shades of the same color). As you can see, pinks, blues and some oranges would go well with ultraviolet. This color scheme uses three colors that are evenly spaced around the color wheel. Designers recommend letting one of the three colors be the dominant one, and the other two colors as an accent. So in a triad color scheme, you could add some shades of red and green with the ultraviolet, or ultraviolet, blue-green and orange. The combinations can be interesting.